When I heard what the Norse is capable of I knew I had to get my mitts on one. I have only had my Norse guide stick for one season but heck if it isn't the best whitewater battle axe out there! My home river on the Deerfield is very shallow and rocky and eats paddles, but not this one! This paddle will surely outlast my guiding career. I picked it up in person from Don and he is a man who loves the rivers and loves making you the best paddle possible! Lost mine on the Penobscot, it was in my family for over 40 years. It still haunts me till this day. Just found out that you were manufacturing again. Will be ordering its replacement forthright. I have never held a paddle that comes close to the quality of my Norse! I have 3 Norse paddles from Spring Mills, Pa. two whitewater canoe paddles and a kayak paddle. These paddles have been on rivers in kayaks, canoes, and rafts in Virginia and North and South West By God. Live in Harpers Ferry and our daughter is now guiding with my Norse. Almost 40 years old and functionaly perfect. Buy a Norse for a lifetime and your kids. I bought my heavy duty whitewater paddle and a double paddle (kayak) directly from the plant at Spring Mills, Pennsylvania in 1974. I have used the single paddle on many a rocky river while (lots of shoving off rocks) whitewatering / camping in long canoes with canoe club friends- who also own Norse big paddles from the same era. The double paddle was made long enough to paddle a 17 ft canoe solo while crusing the BWCA-W. Even loaded with camping gear -for two - and our dog, tandem manned canoes could not catch me as we raced for campsites. 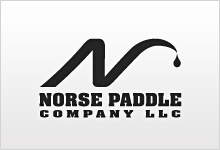 NORSE PADDLEs survived 38 years with me, are unbreakable and perform second to none! On the Upper Gauley it is me, the boat, my crew and my paddle against the best mother nature can throw out. For 21 years I've trusted only a Norse paddle. It's my first line of defense against big water. On every river from West Virginia south! The Upper Gauley, Big Water New, and big water Nolichucky, These sticks have gotten me out of holes, pushed me over waves, and saved numerous guests and me on countless trips!!! Glad to see them rise back to life! I've been a whitewater canoeist for over 30 years. My wife and I bought our firtst raft 4 years ago and began to R-2. We just couldn't find a good quality high performance paddle for rafting. We wanted something more durable than the spoon blades we were using for canoeing. Then I remembered the Norse paddles I once had. My wife gave me that look when I ordered us a couple of raft paddles. That look turned into a smile as soon as she dipped it in the river. I guided on the New River in 2003, the epic water year. I bought a Norse paddle, and I cannot count how many times my incredibly dependable paddle got me out of trouble. I still own it, canoe and raft on a regular basis with it, and I would never dream of going into whitewater without it. I am glad you are back, and I am getting another one! By far the greatest raft guide paddle ever! With over 15 years of guiding it is the only paddle I would use. I am the founder of Adventure Calls and have a gazillion miles on my Norse guide paddle. It has hit a lot of wet rocks and still in perfect shape. Have 3 Norse from Spring Mills, Pa. two whitewater paddles and a kayak. Been on rivers in kayak, canoe, and raft in Virginia and North and South West By God. Live in Harpers Ferry and our daughter is now guiding with my Norse. Almost 40 years old and functional perfect. Buy a Norse for a lifetime and your kids. Bought two Norse Canoe paddles from Rich Brown in 1969, when he was located in Pine Grove Mills, PA. Still have the paddles and give them occasional use, but i'm mostly a kayaker. Norse paddles are virtually indestructible. I have guided for over 40 years on rivers all over the Southern Hemisphere from Nolichucky, Ocoee, Pigeon, New, Gauley, Grand Canyon, Gunnison, Snake, Salmon, thru Costa Rica on all the Big water runs. My trusty Norse has seen them all. After all those years I still have her and she is still in great condition ready to hit some more class V water. I only wish I was in the same shape as her. Just wanted to say that I thought Norse had gone out of business. Even though I don't paddle much any more, I ran rivers all over the southeast, Arkansas, Colorado and Montana in the late 70's and all through the 80's. Norse paddles were FAR superior to anything available at the time. If your quality is the same or better, I can't imagine a better choice. My daughter and her fiance are former raft guides who are interested in learning to canoe and kayak. I will strongly recommend that they buy Norse when they are ready to buy their equipment. I bought my Norse canoe paddles about 40 years ago. I have used them from Ohio flatwater to the Ocoee, Chatooga,and plenty more. Even after 40 years, they are still my go to paddles in heavy water or anyplace I wouldn't dare to use wood. They would seem to be indestructible. I have over 20 years of guiding rafts behind me, with my Norse blade along for every trip, on every river. It is simply essential gear for any raft guide. If your raft guide doesn't paddle a Norse blade, get in another boat.